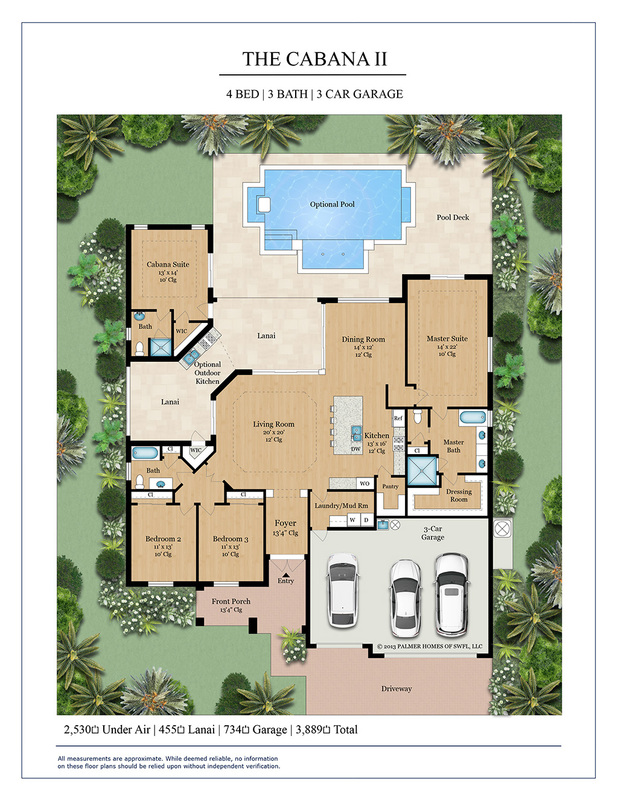 The eight time award winning Cabana Series by Palmer Homes, a quality custom Cape Coral based Custom homebuilder, has set out to redesign one of the most efficient and flexible floor plans available for a Cape Coral homesite, by transforming into over 12 floor plans from 2,049 square feet to 2,900 square feet. 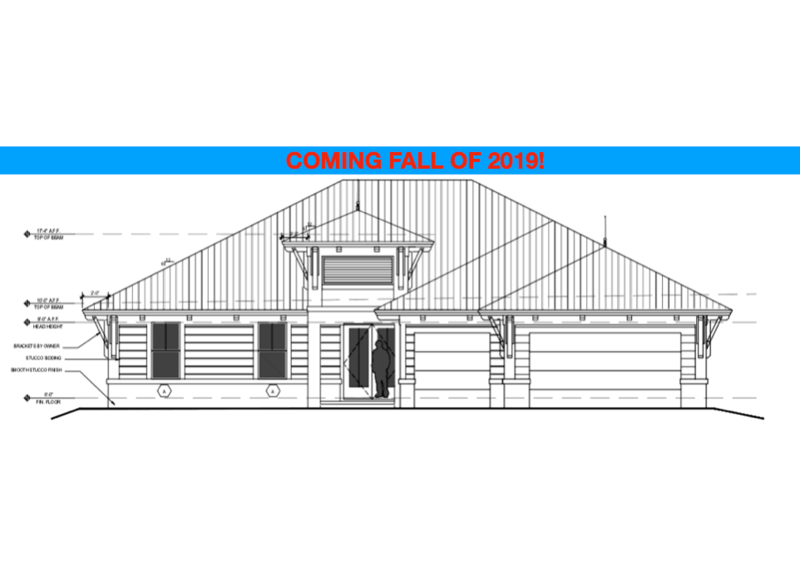 Never content with resting on their laurels, The Cabana II is larger in every way, taller ceilings, new master suite, a new “Coastal Cabana” elevation and a new kitchen. 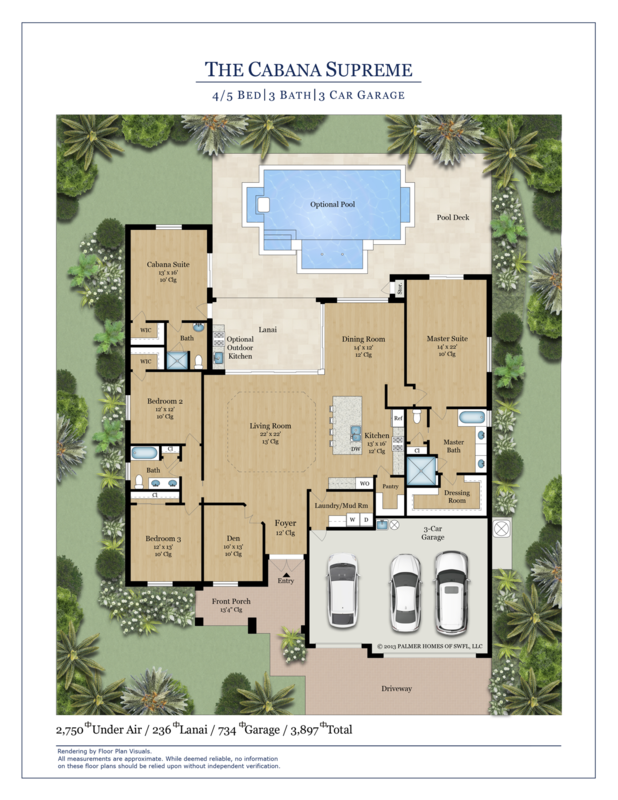 The Cabana II was designed to be the most efficient and flexible floor plan for a standard Cape Coral lot and to take full advantage of your Florida lifestyle. 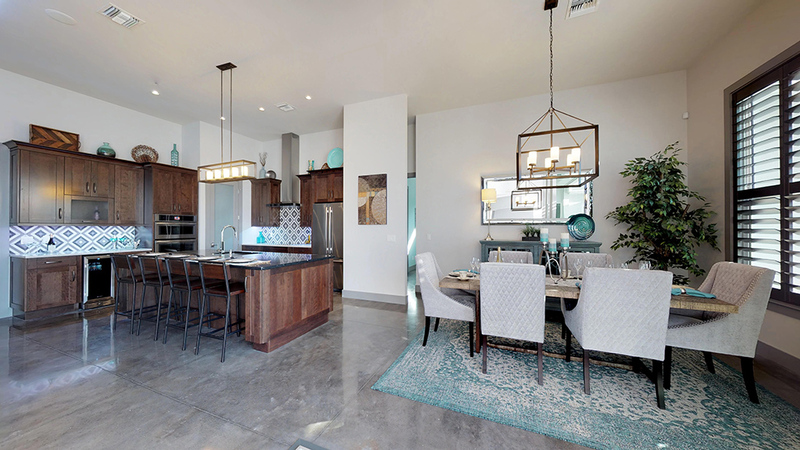 The huge 10′ tall 90 degree sliding doors have been located perfectly next to the dining, great room and kitchen. The lanais offers two areas to entertain, a kitchen, and is totally enclosed by electric roll down shutters. The detached Cabana Suite, poolside, offers tranquil space connected to the home off of the lanai. The master bedroom at 22 feet long, a freestanding master tub, and a huge walk in closet make up an ultimate master suite you may not want to ever leave. A sequel thats better than the original is no easy task. But the Cabana II is a real stunner! Video and pictures don’t do it justice. This home features functional rooms you will use, virtually no wasted space, and an ultra flexible outdoor and Cabana area you will certainly use to its fullest. 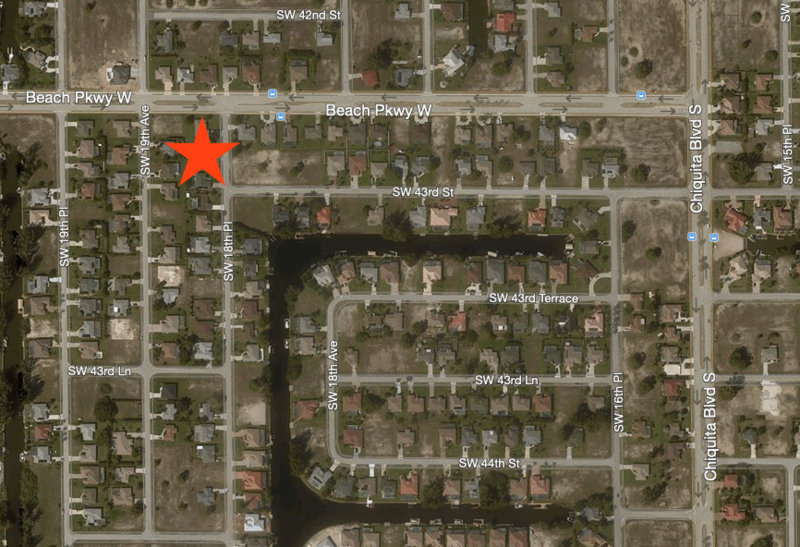 Whether you are planing on building on a canal or golf access lot, it is most important is to utilize the property to its fullest. To be able to see and enjoy the views while enjoying the pool and weather as much as possible no matter what time of the year. The Cabana Home Series delivers! Choose from five front elevations, and enjoy our industry leading ability to mix any elevation with any Cabana Series home! What if your new home has an inlaw suite NOT connected to the home. 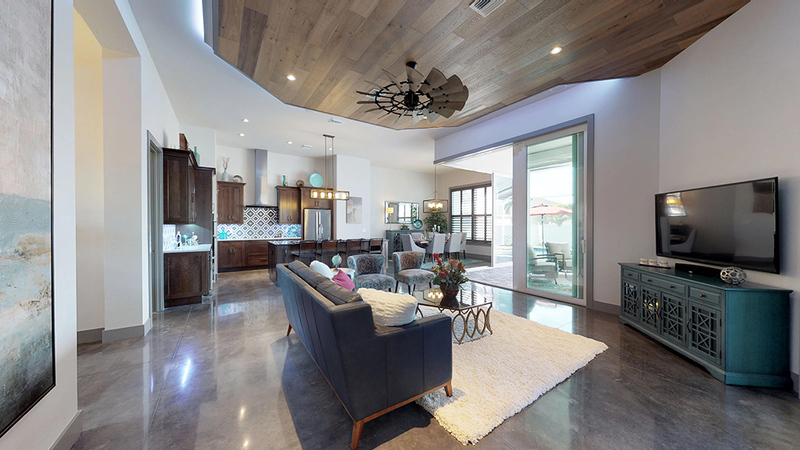 What about a music room that is disconnected from the living area of the home by a breezeway. What if your guests had a cabana suite with its own bathroom and closet where they wouldn’t disturb you while they go about their business. 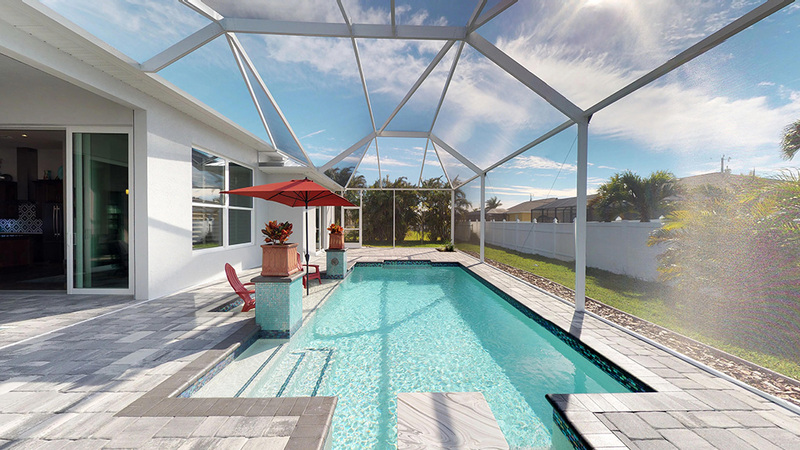 Who wouldn’t want a “pool house” next to the pool with its own dedicated air conditioner? Who wouldn’t want two lanai’s, one near the pool, and another lanai for lounging, parties, billiards table, all wired for television, audio and better yet, these lanais are both separated from the elements by way of remote controlled electric roll down shutters with windows. When the weather turns, you touch a button and the lanai of 420 square feet instantly becomes dry and pleasant. 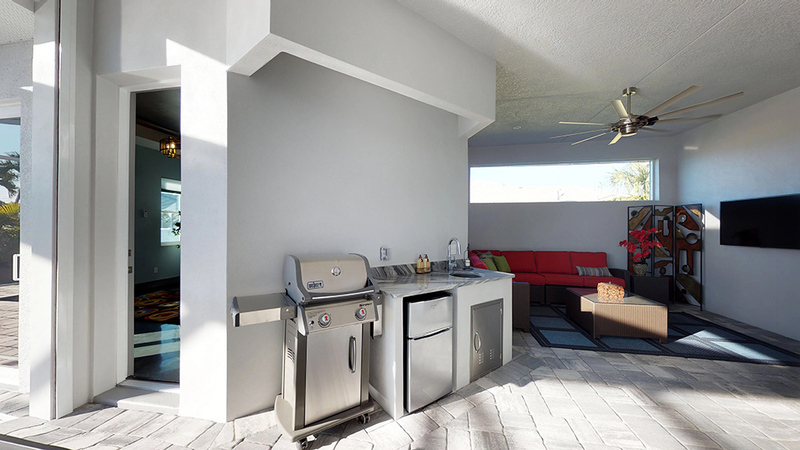 With a little heat or A/C from the house by opening the sliders, could make this the ultimate home for entertaining all year round! 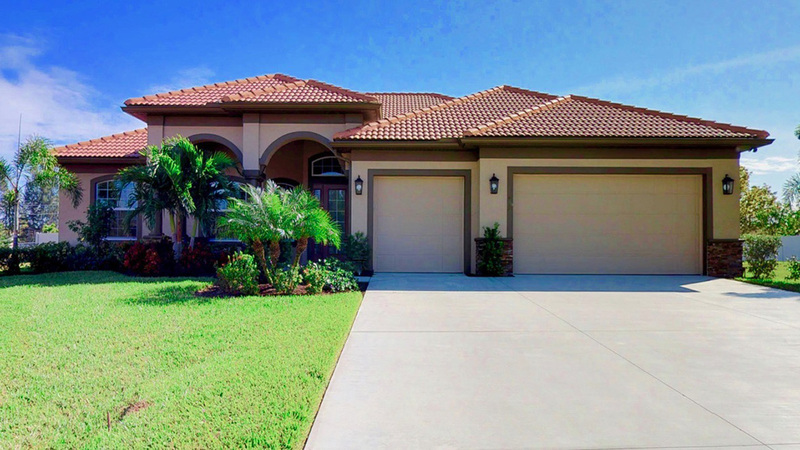 If you are away for a while, you can also put all of your pool and patio furniture on the lanai and close the shutters. 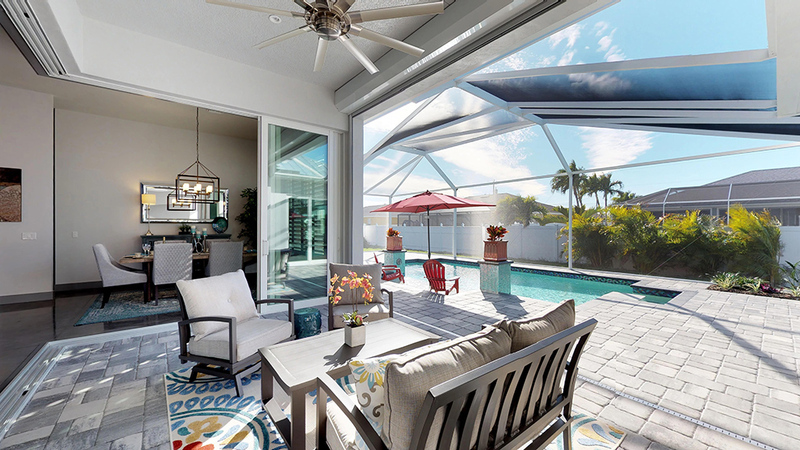 Keeps all of your belongings on the lanai (grill, TV, furniture, fridge, alcohol, etc) safe from being stolen, keeps your cushions dry, keeps the sun off of the patio so the furniture lasts longer. The list goes on and on as to how you will use the roll down shutters. Many people use the roll down in the evening to shade the lanai from the west sun for a couple hours until sun down then roll them back up. 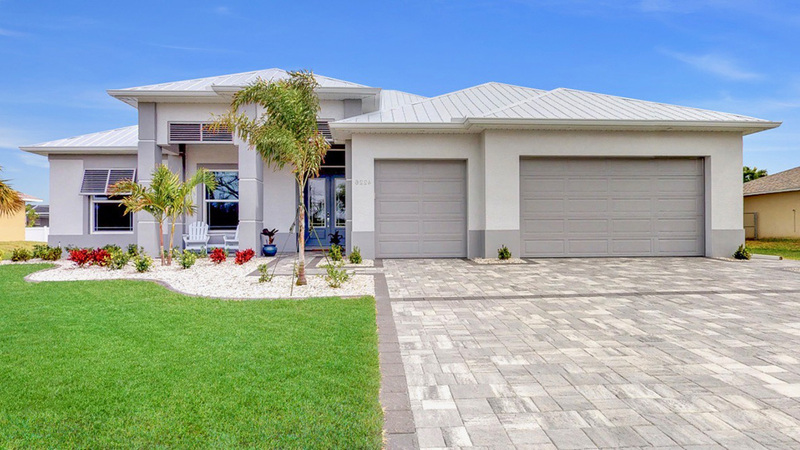 Keeps the lanai cooler and more comfortable.While other builders all talk about the Florida lifestyle, this home, designed in house by Palmer Homes was designed ground up as the ultimate Florida home. 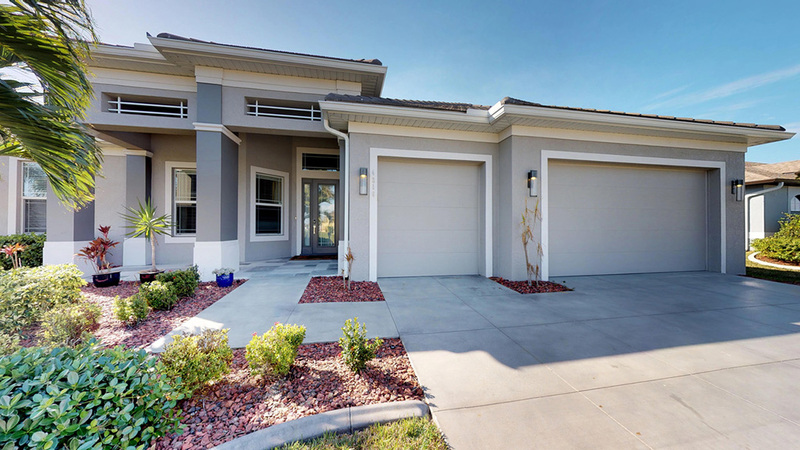 At 2,530 square feet under air, its a home you can easily maintain while having the benefits and features of the larger homes. 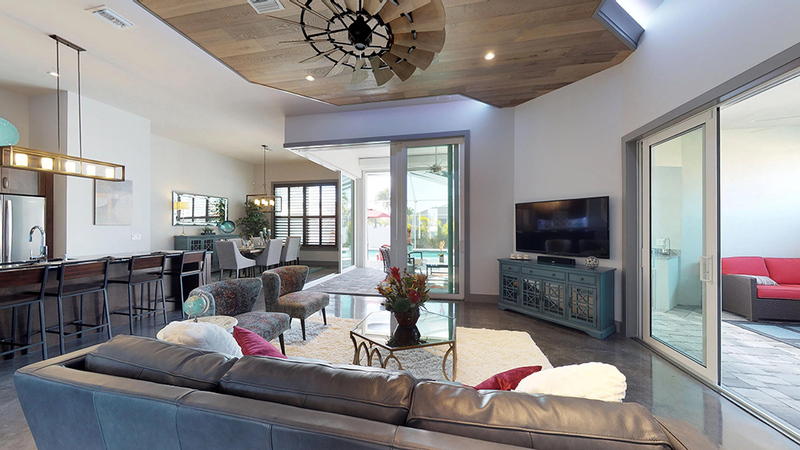 But with virtually no wasted space and higher 12′ ceilings it has the feel of a much larger home. 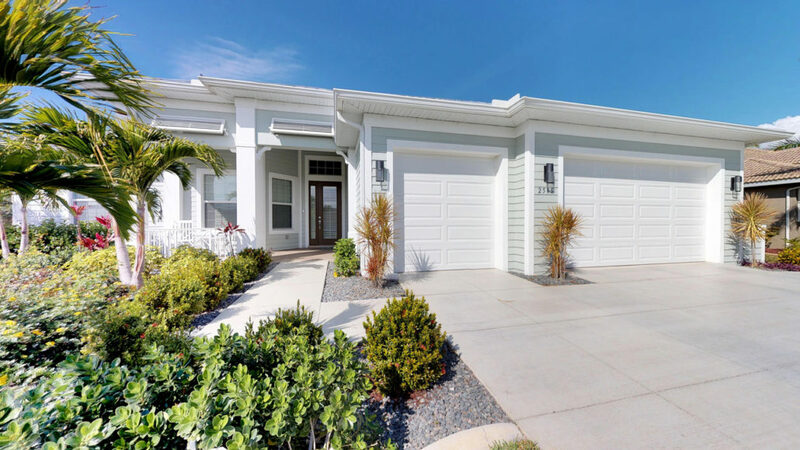 The NEW Cabana II offers our version of the Clean “Coastal Cabana” architecture with just enough modern finishes to please, without disconnecting you from cozy feel of a home you will love coming to. If Margaritaville is calling, you can choose the The “Cabana Key” elevation. Light colors, Bahama shutters, corbels and a whimsical feel will surround you. For a more traditional design, choose The “Tuscan Cabana”. Arch top windows, dry stacked rock, round column and gorgeous arches greet you as you enter your Tuscan styled Cabana. Our most popular “Original Cabana” elevation is still pleasing everyone who enjoys fresh architecture. As is with all Palmer Homes, double pane insulated Low E impact glass, high efficiency spray foam insulation, High efficiency Trane HVAC, granite everywhere, 8′ tall solid core doors, ten foot to 13 foot ceilings, asphalt, tile, clay, or metal roof, all wood custom built kitchen, porcelain floors or optional decorative concrete floors provided by www.imagecustomcoatings.com and stainless steel appliances are all standard.